Facebook CEO Mark Zuckerberg—who used to be concerned about maintaining a low public profile until mounting scandals forced him into the limelight last year—understandably has a rather hefty security detail. As the CEO of a company with billions of users across the globe, a fair number of whom are presumably are less than fond of him, he reportedly has a $10 million (£7.7 million) annual security budget that includes armed guards, elaborate security systems, home panic rooms, and more. 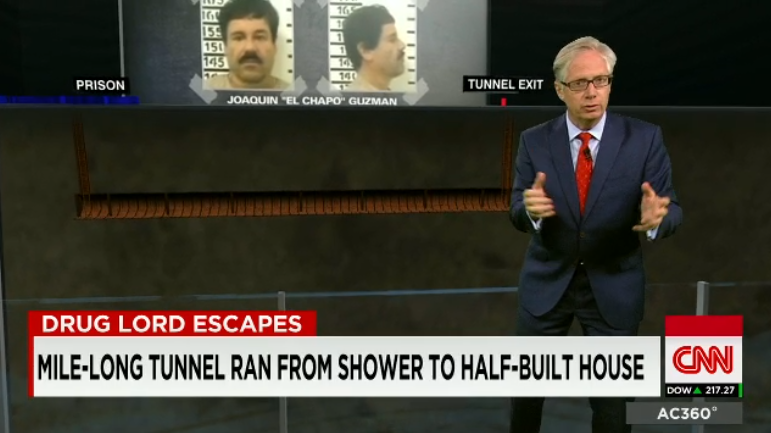 Employees say he also has an escape tunnel, according to a recent report in Business Insider. Facebook’s offices are built above an employee parking lot, but it’s impossible to park directly beneath Zuckerberg’s desk because of concerns about the risk of car bombs. He also has access to a large glass-walled conference room in the middle of the space near his desk that features bullet-resistant windows and a panic button. There’s also a persistent rumour among Facebook employees that he has a secret “panic chute” his team can evacuate him down to get him out of the office in a hurry. The truth of this matter remains murky: One source said they had been briefed about the existence of a top-secret exit route through the floor of the conference room into the parking garage, but others said they had no knowledge of it. Facebook declined to comment on this. If it does indeed exist, Zuckerberg’s escape route presumably leads directly to a waiting car rather than, say, a Wayne Tower-esque hidden cache of superhero gear. In theory, it could also lead to another crafty escape point on the Facebook campus. No word, however, on whether it is air-conditioned with motorcycles at the ready to speed up his decampment from the US Federal Trade Commission. According to Business Insider, other measures put in place by “members of Zuckerberg’s Praetorian Guard” include 24/7 accompaniments by bodyguards, some of whom pose as Facebook staff when sitting near his desk at work or at company all-hands meetings. As is the case with many high-profile billionaires, security personnel also drive him everywhere he goes and sweep locations for potential security threats before he enters.